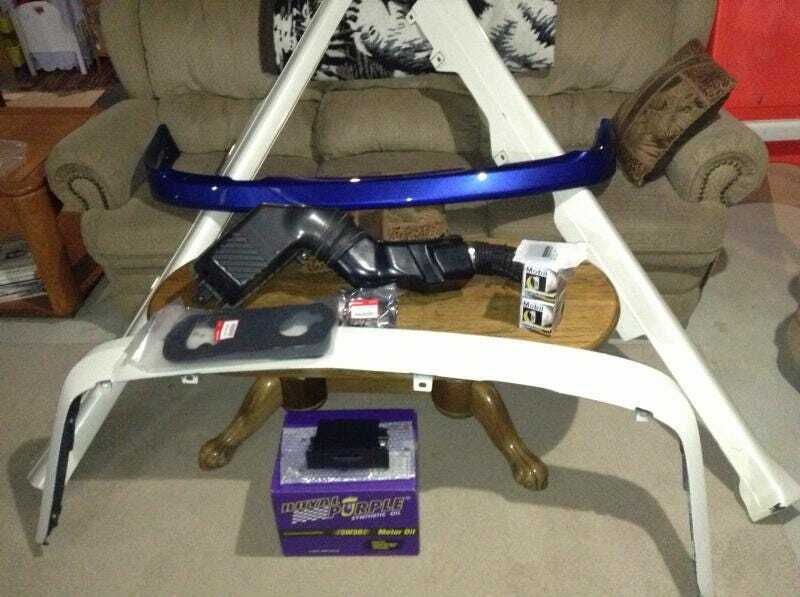 Now, i just gotta put everything on the car haha. I need get my front lip prepped for paint too, then after that, the lip/skirt kit, as well as getting rid of my altezzas for stock tails should be done around the same time. And the oil filter buying was the hardest decision thus far. I went with a mobil 1 filter... Seems to be pretty decent these days. Also got 12 qts of royal purple. Then i got my valve cover gaskets for when i do my valve adjustment. I think im set now for a few thousand more miles.